Masayuki Tayama, one of today’s most accomplished pianists, is much in demand across Europe and Japan. 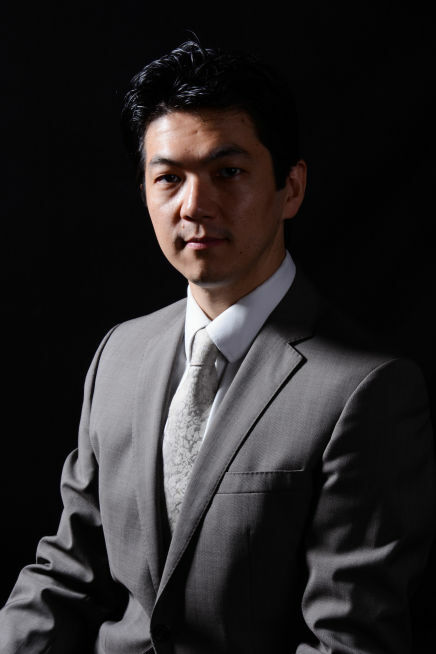 He first came to prominence when he won First Prize in the Takahiro Sonoda International Piano Competition in Japan, followed by numerous top prizes in Europe, including the Birmingham International Piano Competition. Tayama studied at the Toho University of Music in Japan, and subsequently in London on a Fellowship from the Japanese Government, where he was awarded the Performer’s Diploma with Honours from both the Royal College of Music and the Guildhall School of Music and Drama. His first London solo concert appearance was in 2002 at the South Bank’s Purcell Room, and he gave his debut recital to a sell-out audience at the Wigmore Hall in 2007, both of which were met with critical acclaim. His Tokyo debut recital at Toppan Hall in 2005 was broadcast on Nikkei National Radio in Japan, and he was a featured pianist on BBC Radio, UK, in October 2012. Tayama’s performances of Rachmaninov Piano Concerto No.3 with Osaka Symphonika at The Symphony Hall in Osaka, twice on the same day in July 2006 were hailed as ‘reinventing the image of Rachmaninov’. He made his USA debut in January 2006 at the Kennedy Center for the Performing Arts in Washington, where the recital was broadcast live on the Internet. Tayama regularly gives solo recitals at eminent London concert venues such as the Wigmore Hall and the South Bank’s Purcell Room. His recent performances with orchestra, notably at the Queen Elizabeth Hall, Cadogan Hall, the Fairfield Halls, St John’s, Smith Square and the Last Night of the St Jude’s Proms, include all the Piano Concertos by Brahms and Rachmaninov, collaborating with conductors including Stephen Bell, Adrian Brown, Darrell Davison, John Gibbons, Levon Parikian, Brien Stait and Vladimir Válek. He has earned an enviable reputation as a Rachmaninov specialist, and is currently in the midst of a project to record Rachmaninov’s complete works for solo piano. His first recording of the two Sonatas won the accolade ‘Best Recording of the Month’ in Stereo magazine, and his second CD of the complete Rachmaninov Etudes-Tableaux and Morceaux de Fantaisie followed to critical acclaim. The third disc of the two sets of Variations has been chosen as a ‘Tokusen-ban’ (Specially Selected and Recommended) in the January 2016 issue of Record Geijutsu, Japan’s most authoritative classical music and review magazine. Since 2011, he has become a familiar face in Cunard Line and P&O Cruises' classical recital series, invariably delighting audiences with his sensitive touch and engaging performances of a huge range of repertoire. Tayama is much sought after as a teacher and adjudicator. From 2010 to 2017, he taught First Study pianists at Chetham’s School of Music, Britain’s largest specialist music school, and gave solo recitals and Master Classes at the Chetham’s International Summer School and Festival for Pianists. Currently he is a Professor at the Elmitt Piano Academy where he gives regular Master Classes and Lecture-Recitals, and is also a registered adjudicator with the European Piano Teachers Association.